These pictures of the June 14, 2014 event at the Goshen Historical Society. 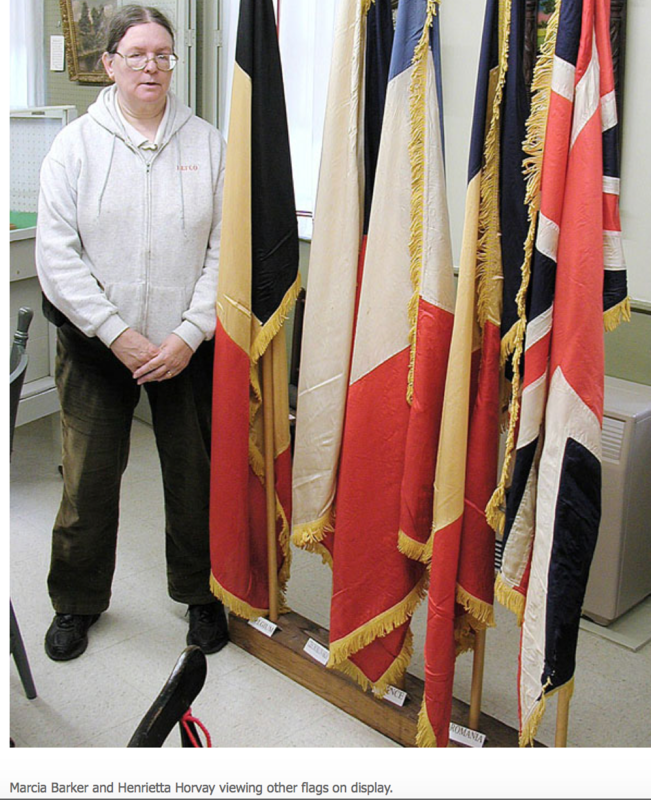 Theresa Walla-Kelly standing in front of various European Flags of World War II. 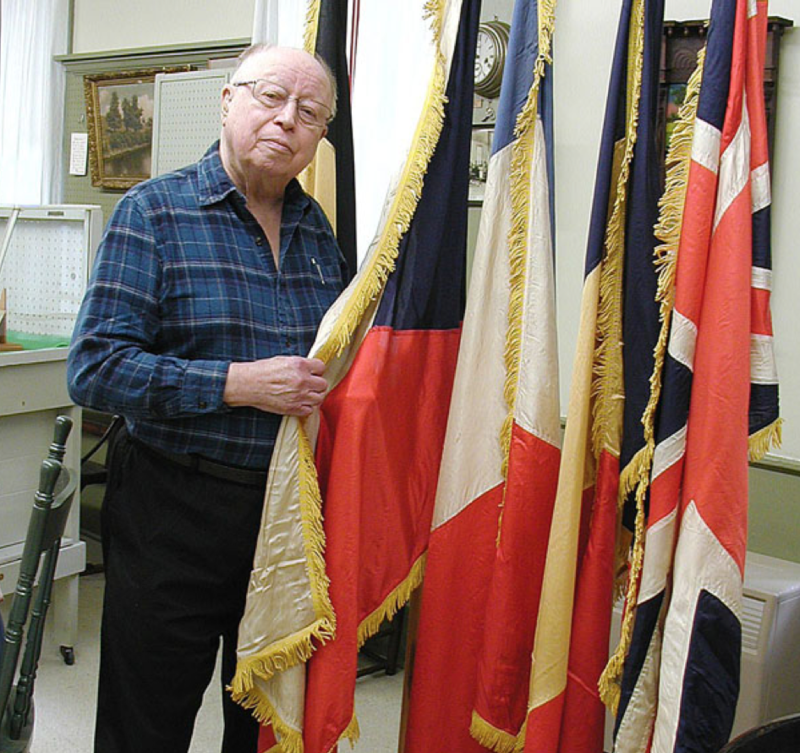 We had on display the flags of World War II European countries. 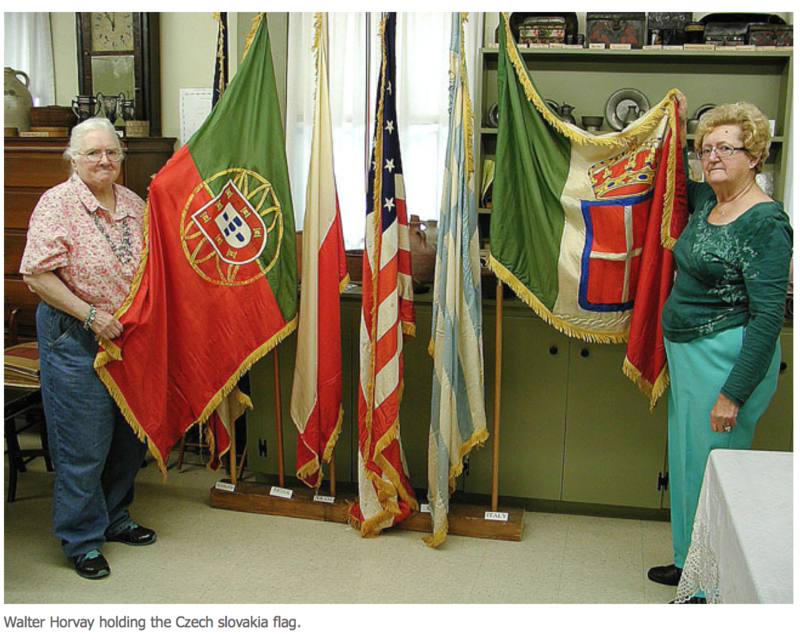 The flag were donated to the Goshen Historical Society by the American Legion Auxiliary Unit #46 Lamson O’ Donnell.